Updating from an older version to 1.0.4? Please refresh your config files!! Sorry for the inconvenience! If you are having a crash related to SpawnPlacementType, then please update your Optifine :) Thanks! 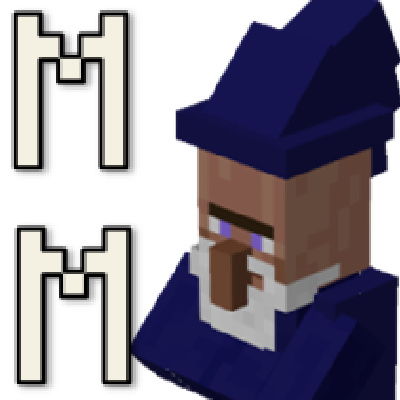 This mod contains all necessary files for my other mob mods to function; which are Primitive Mobs and The Summoner mod. However, it is mainly setup for my upcoming mod: Atmosmobs. Seeing as all my mob mods will have similar infrastructure, I figured it would be better to not have people essentially download the same code twice and it also allows me to update only this framework for both mods if big changes are to be made. Also, other modders could use this library mod as a dependency to use some of it's features if they want to. :) It has some fun spawning config code that Primitive Mobs uses and a lot of useful utility classes for Entities in particular. - Check all relevant IDs for the mods you installed (like mob IDs), which are generated in config/multimob/modinformation as txt files. My new spawns do not work or the limits do not work! Can you help? - Before reporting; make sure you restarted the game and tested the spawns with a new world. It makes all the difference! My game crashes. Can you help? - Please make a report by going into Issues in the top bar and describe what went wrong. Also provide a crash report if possible. Is the wizard in this mod? - No, he's just there to distract you and represent the mod. :) This is a library mod. Hey, just wanted to know if it's possible to restrict spawning in certain biomes. For example, is there an expression for preventing the Traveling Merchant from spawning in swamp biomes? Not yet, still working on such a feature. Hello, I'm having a problem on the R.A.D modpack, after I went to tropicraft dimension it starts hundreds spawns of a white polygon called"entity.multimob.dummy.name", and goes crazy dropping the frame rate a lot turning impossible stay on the dimension. Interesting... will test it on my end as well. That mob should not even have rendering properties and should not get through the spawning code at all.... thanks for the report! So I just checked and this seems like something on Tropicraft's end. They should take the result of the CheckSpawn event into consideration for their spawn system so my mobs do their proper checks. Now everything just spawns willy nilly. Otherwise, I am working on giving you the option to exclude biomes/dimensions from spawning so that could be a work around soon. I'm having this problem as well after trying to use incontrol for some spawning options. Is there anything I can do to stop them spawning or keep them from spawning to begin with? Is their a way to turn of this spawner so it can use the default spawn system? Each time i try to open Minecraft 1.12.2 with Primitive Mobs and MultiMob it crashes, Heres the error message i get..:The game crashed whilst initializing game Error: java.lang.ExceptionInInitializerError I do not know if it is because a mod is conflicting it, But at the same time i use the latest .jar files for PM and MM (9 Feb 2019) So yeah, If anyone can fix this it would be appreciated, I also deleted the Primitive Mobs And MultiMob config files and it don't wanna work. NOTE: Just checked if it was any other mods conflicting and it is confirmed that something might be wrong, Either with my PC or the mod itself. heya, thanks, was still having crashes due to a incombat. but after sorting through all 89 of my mods, twilight forest was the problem, updated it and i finally got in game. Cant wait to use this mod ive heard such good things about, fought hard for as well. Will try to make the config a bit easier to use in the future. Also I put up another fix build with some essential fixes (should be there once confirmed by mod)! Please update if you can. It fixes some issues with zombie spawns and other small things. If you suddenly see a lot of zombies spawn (should not happen so test first); then please reset your config! The config is actually already pretty easy to use as these things go, but it'd be nice to have options for mobs spawning with armor and held items, especially changing the tool type of haunted tools, since big packs will have a lot of tools that ain't vanilla ones. Uploaded a hotfix build; please let me know if it causes any issues. Cheers! It fixes a crash with Botania and reduces spawns for PM in general as they were getting a bit too common judging from the feedback I got. The changelog is also in the files section. ---- Minecraft Crash Report -------- Minecraft Crash Report ----// Quite honestly, I wouldn't worry myself about that. Please do not post crash logs here; do so in the issue tracker at the top of the page. Anyway, are you sure you dont have Optifine? Cause this is that exact crash.. please double check your mods folder.